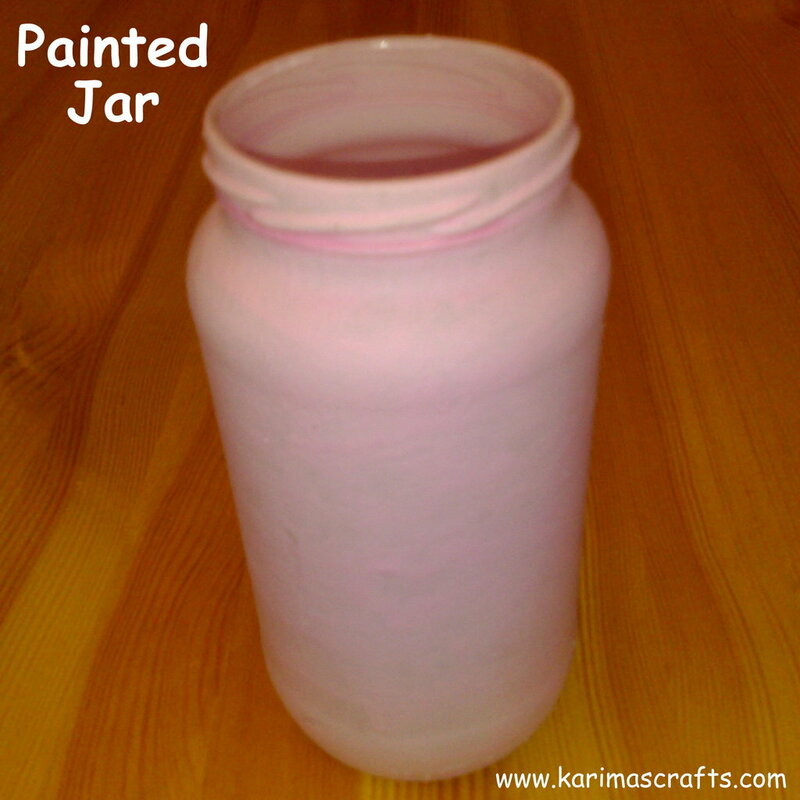 DIY - Painted Jars - These are one of the easiest and cheapest things to make. 1) Find an empty Jar and remove any labels and clean it out thoroughly. 3) Place Jar onto some newspapers/paper so that paint doesn't make a mess. 5) Leave to dry and if needed add extra coats. I had to do about 3 coats for this project as the paint wasn't very thick. 6) Optional - Decorate with ribbons/beads/permanent marker designs etc. This is so easy, you don't really need a tutorial for this, but at least with a tutorial you can see for yourself how easy it really is! I have this jar placed in my bathroom. Salam alayki Karima, always nice to sign in and see your latest project. What a beautiful use of a jar! 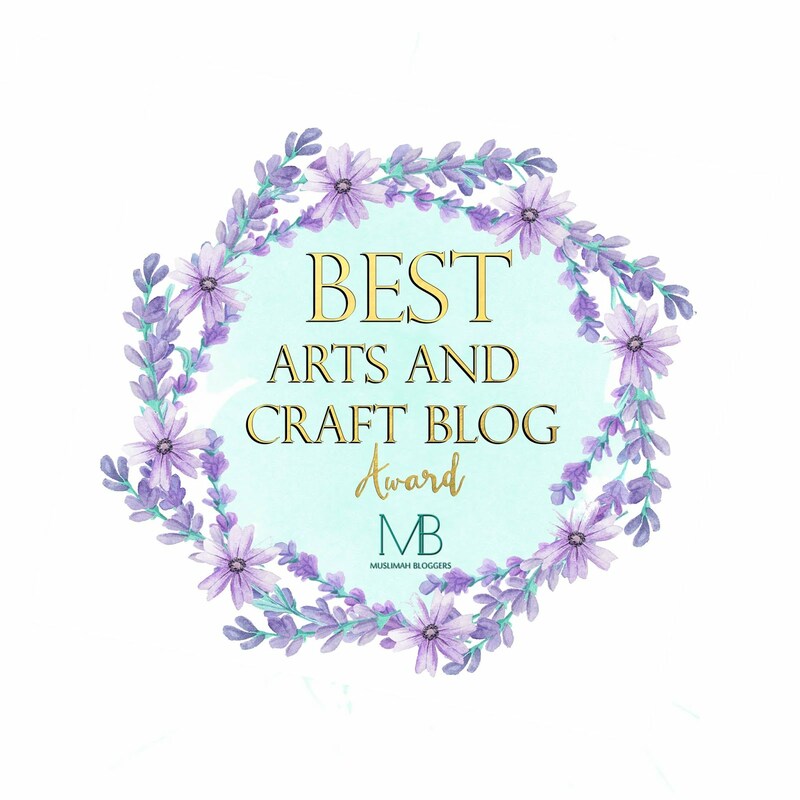 Thank you - so glad you like! Really easy to do. Cute idea, I always have jars lying around, I should try this sometime. 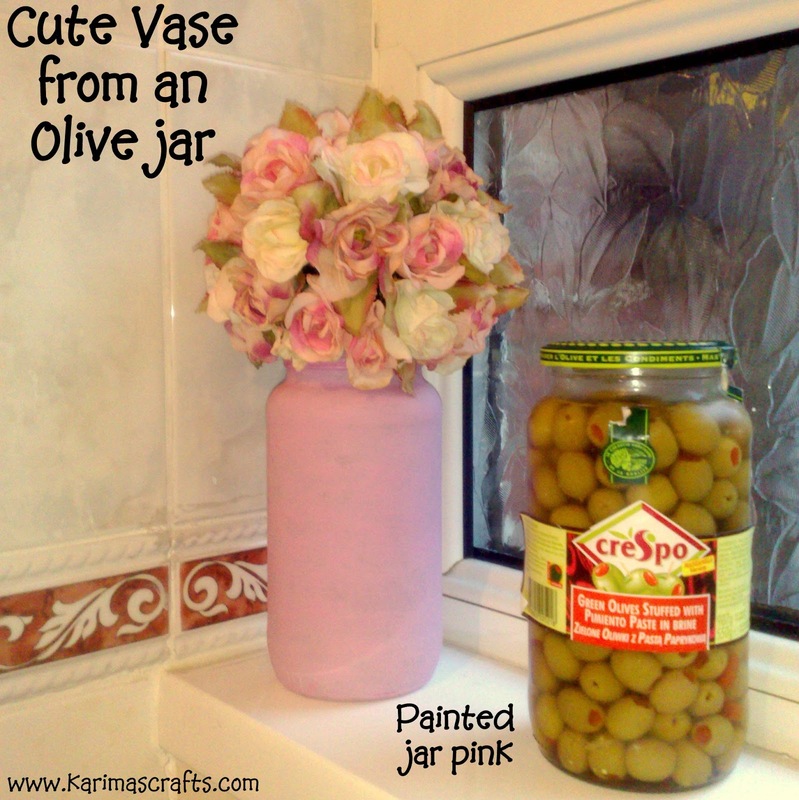 Yes, this is a good idea - I love reusing jars! Glad you like, this is good for everyone, as most people have some glass jars lying around! waalaikum salam, yes this is a really easy DIY, you should try it!